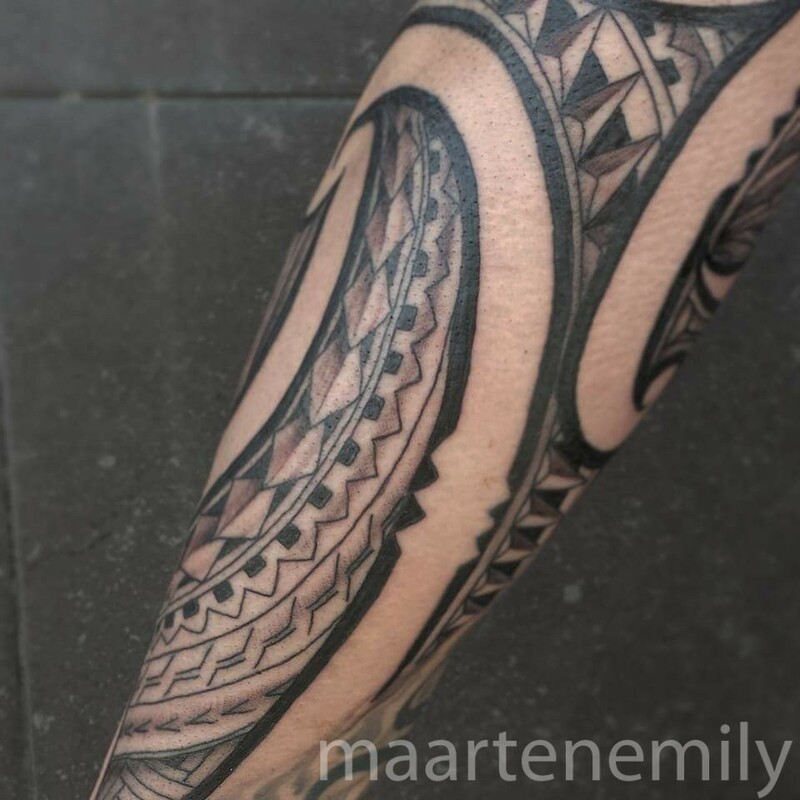 Polynesian tattoos that are inspired by the beautiful tattoos, art, and patterns from the Pacific. The shapes ,symbols, and patterns find their origin from nature, everyday life, and history displayed in their abstract form done with solid black ink. 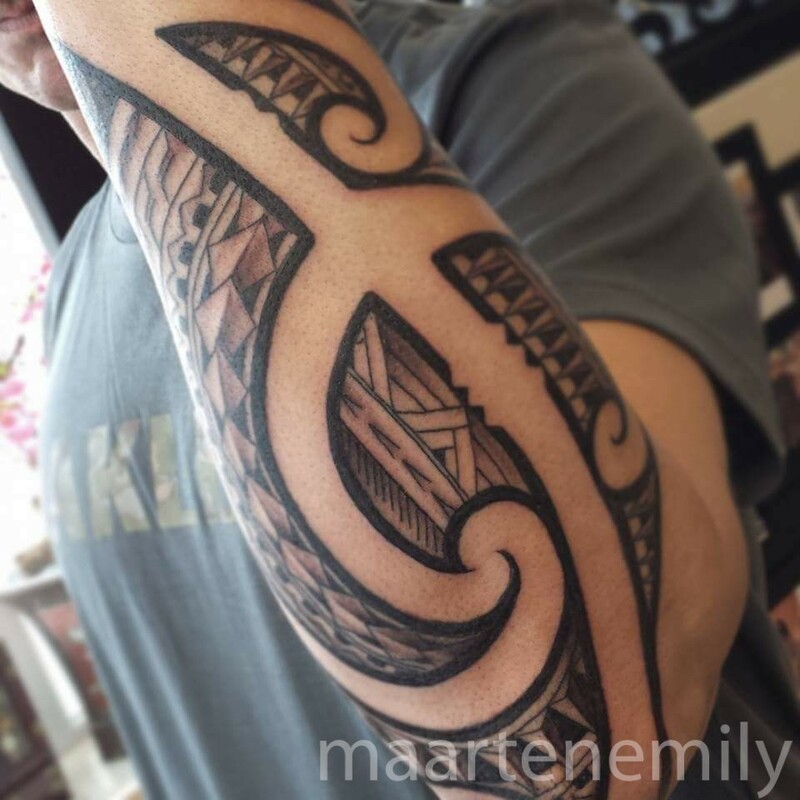 In the Pacific tattoos a big part of the Polynesian culture, they’re about family, respect, knowledge, and tradition. 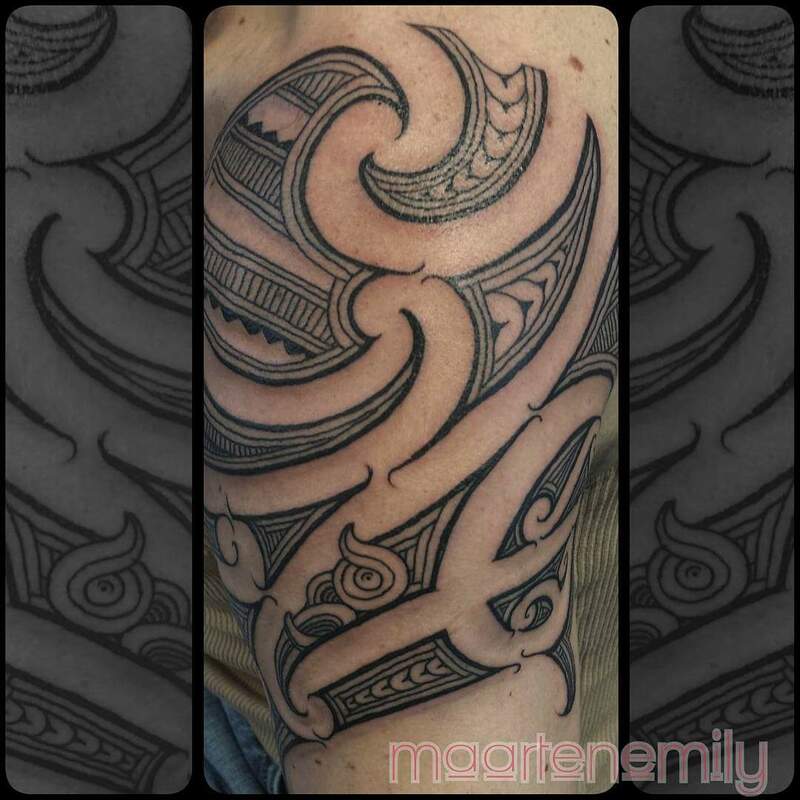 The Polynesian tattoos I do are contemporary and all done with a machine. My inspiration comes from extensive book study, but more important from frequently traveling to the Pacific. Also, I am very grateful to have such good friends who allow me to have an inside look at their beautiful tradition, culture and family life. 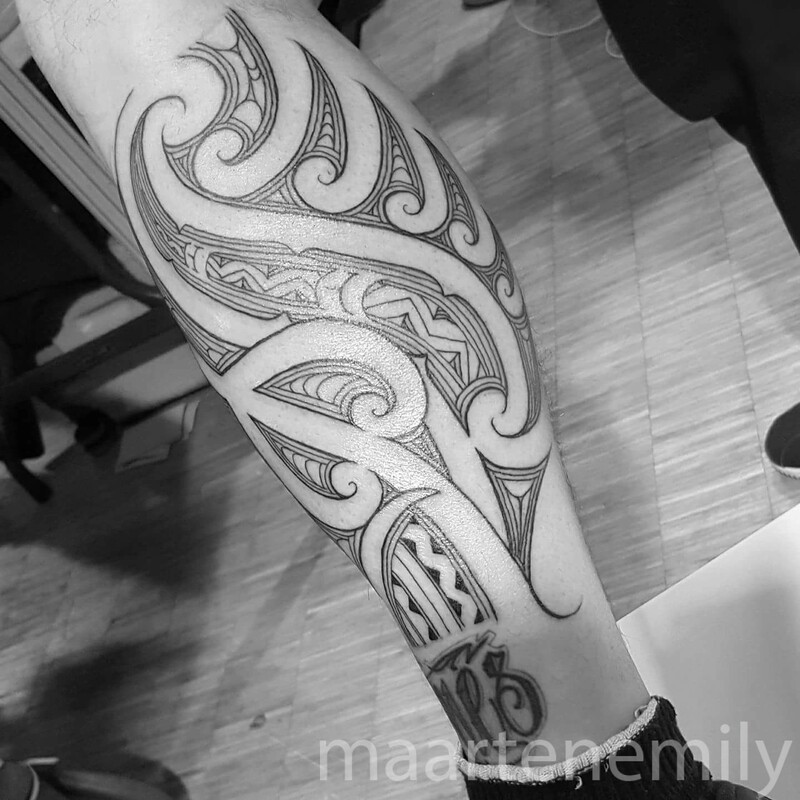 All my Polynesian work is custom made, drawn on the spot and freehand so it goes well with the shape of the muscle and the body. On a regular basis, we have a Polynesian guest artist coming in. For more updates like how to get tattooed by one of our guest artists subscribe to this page. 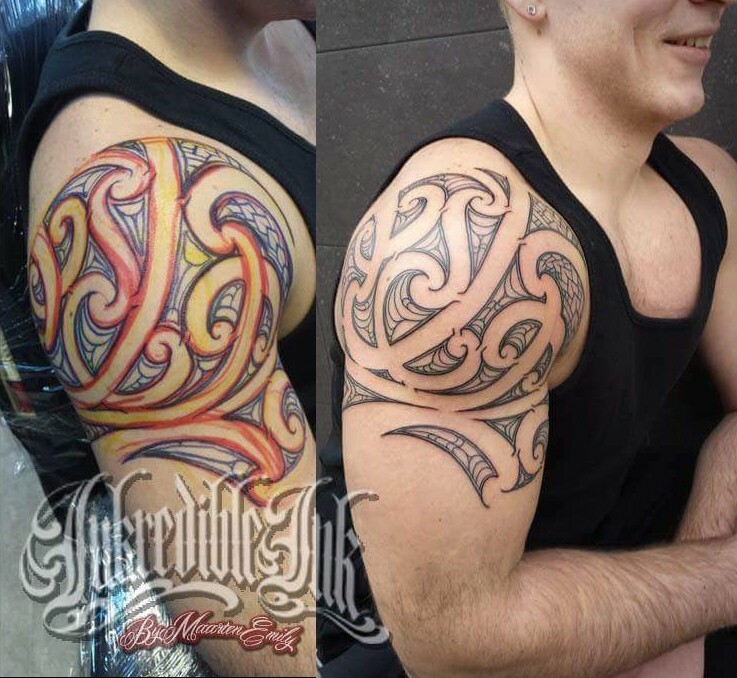 Feel free to stop by the shop and see what we at Inkredible Ink Tattoo can do for you.